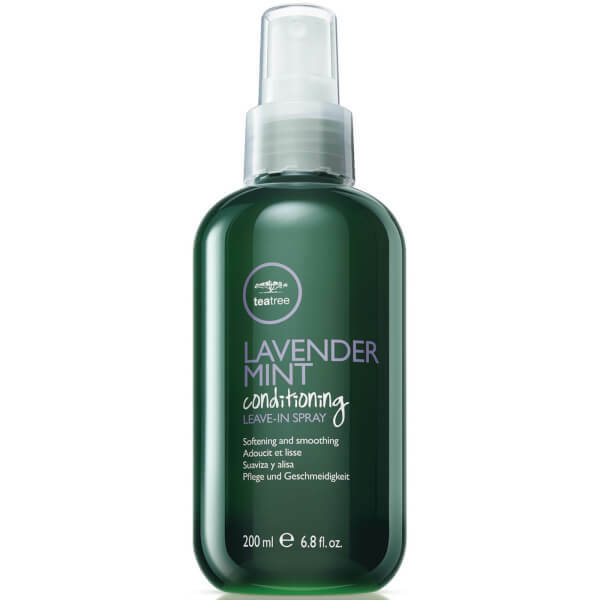 Treat your locks to the Paul Mitchell Lavender Mint Conditioning Leave-In Spray; a lightweight, replenishing formula that delivers moisture, shine and a rejuvenating fragrance. Infused with antioxidant Vitamin E, the leave-in spray fights frizz and flyaways, whilst creating a protective veil over the hair to shield from heat styling damage. Hair feels smooth and hydrated with a salon-worthy finish and revitalising notes of Lavender, Tea Tree and Mint. Apply to dry or damp hair. Style as desired.